President Muhammadu Buhari has been issued a four-week ultimatum by the Reformed Niger Delta Avengers, a coalition of nine militant groups in the region, to reinstate Coordinator of the Presidential Amnesty Programme (PAP), Brigadier-General Paul Boroh (rtd). The militants vowed to resume fresh attacks on oil installations and facilities across the length and breadth of the region if the President failed to reinstate the former Special Adviser to the President on Niger Delta after the expiration of the notice. Leader of the RNDA, ‘General’ Johnmark Ezonbi, made the threat on Monday after an enlarged meeting of the militant groups in Bayelsa State. Ezonbi said it had become obvious that the Federal Government was toying with the destiny of the Niger Delta region, alleging that nothing tangible had been recorded since the coming of the present All Progressives Congress-led government at the centre. 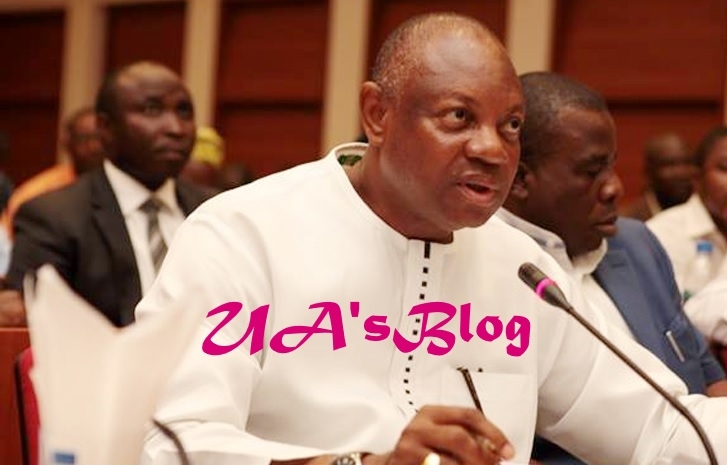 He said they found it curious that President Buhari sacked Boroh, claiming that he (Boroh) succeeded in setting a template for the smooth operation of the Amnesty Office. He warned that the militants’ striking units across the Niger Delta had been put on the red alert to commence “Operation Zero Oil” to cripple the economy in a well-coordinated destruction of all major oil pipelines after the expiration of the four-week ultimatum without looking back. “I want to warn that any intruder into our planned action in four weeks’ time if the Federal Government failed to reinstate Gen. Paul Boroh would be severely dealt with without mercy. Our attack will make security agencies in the creek very small. “We are fully ready to take on anybody as we have the instrumentality of warfare that will make the biggest military might to marvel at our coordinated attacks. We are ready to dirty our rivers and creeks with our oil; it is better we spill it than allow government use it to develop other parts of the country. “We are not unmindful of the roles played by self-styled leaders of the APC in the South-South region by sponsoring falsehood against the person and office of Boroh for his blunt refusal to grease their palms to the detriment of the Amnesty Programme meant strictly for ex-militants and agitators. “We have always known those leaders to be anti-Niger Delta since the coming on board of the President Muhammadu Buhari-led APC government as the latter kicked against the establishment of the Nigerian Maritime University, Okerenkoko,” Ezonbi said. The militants’ leader added that Boroh had made concerted efforts to put the amnesty programme back on track with the regular training of ex-militants and payment of monthly stipends without delay. “The RNDA declares Prof. Charles Dokubo unfit for the job because of his age. He has long lost touch with happenings in the creeks. “The Federal Government will hear from us at the expiration of the four weeks ultimatum as no single stone will be left unturned as the Buhari-led administration prefers to go back to the recession period where Boroh played a major role by visiting the creeks with other stakeholders to prevail on the ‘boys’ to drop their arms and embrace peace”, he added.